Ready, set, grow your Summer garden and get down and dirty this holiday season with our December Gardening Guide! Be sure to weed regularly before weeds go to seed. A thick layer of mulch will help to suppress weeds. Spread a layer of compost throughout your garden to condition your soil and create a layer of mulch. This will help to keep the roots of the plants cool and retain moisture – especially useful for when you are going away and won’t be able to water regularly. Continue dead heading rose bushes and fertilise them with 3:1:5 or a balanced rose fertiliser of your choice. Depending on rainfall, water your roses deeply 3 times per week (±15L per week). Spray fortnightly against fungal infestations and aphids and check for redspidermite. Set your lawnmower on a higher setting. Keeping the grass blades slightly longer will protect the roots against heat and dry winds. Feed with a fertiliser high in nitrogen or a specially balanced lawn fertiliser of your choice and water very well before and after. Continue watering lawn twice a week, unless it rains. Birdbaths will need to be cleaned and topped up more regularly during the hot months to provide a drink and a quick dip for our feathered friends. It’s Christmas and with it cometh the Christmas beetle or chafer beetle – the hard-bodied, sneaky little reason behind the lacy appearance of your rose and other leaves. Because they are nocturnal, chafer beetles are hard to control manually. During the daytime they burrow into the soil around the plants, so a good control measure would be to spray the soil with an organic insecticide. You can visit our Plant Doctor section or ask for assistance at our inside information desk in finding the right treatment. Pinch out dead flowers from annuals and fertilise with an organic 3:1:5 or a liquid fertiliser. Fill gaps in beds and hanging baskets with annuals and water very well. Annuals in colour bags are the perfect way to quickly spruce up your beds in time for Christmas entertainment. In shady areas and on patios add a dash of colour with Impatiens, New Guinea Impatiens, Coleus, Begonias and Hypoestes. The choice for sunny areas is more varied – choose your favourite from Dianthus, Lobelias, Petunias, Salvias, Celosias, Marigolds, Gazanias, Zinnias and Alyssum. Plant bougainvillea to add beautiful masses of summer colour to your garden – available in various sizes and colours, they can withstand intense heat and will survive infrequent watering. Other popular choices for colour all summer long are Hemerocallis, Mandevilla, Agapanthus and Hibiscus. Plant Hydrangeas now – they are a hot summer fave! Pick their billowy blooms to fill vases for your entertainment area. Click |HERE| to learn more about growing and using Hydrangeas. Plant ground covers to act as mulch during the hot season – ground covers assist in holding moisture and decreasing evaporation which in turn helps to retain the nutrients in the soil. Days are piping hot and rain is not always a sure thing. If you’re going away ensure that someone waters your garden and containers or that the timer on your irrigation system is set and in good working order. Group potted plants together in a semi-shaded spot or the east side of the house to make watering easier. As it heats up it is important to water your plants in pots and containers more regularly. Mix water absorbent crystals or cubes into the potting soil of containers and hanging baskets to improve water retention. Pay special attention to areas of the garden that receive less rain, e.g. under eaves and against high walls. If the down pipes from your gutter run into a bed, ensure the drainage in the bed is sufficient. Consider installing a drip irrigation system to more efficiently water your garden – enquire at Mica Lifestyle for more info. Now is also the perfect time to take advantage of summer rainfall and invest in a rainwater tank to harvest our precious rainwater to be used throughout your home and garden, and to help save on your water bill! 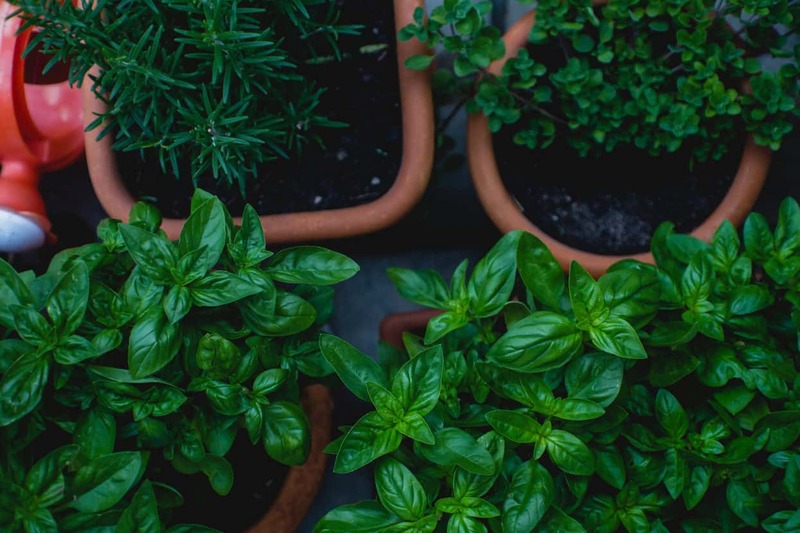 Try to water early in the morning during the hot summer months to prevent fungal infestations in the garden and rather water deeply less often. Remember to familiarise yourself with and adhere to the water restriction relevant to your area. Plant loose-leafed lettuces at weekly intervals for summer salads – plant these in the shade of taller plants, like Swiss chard or in beds and pots that only receive morning sun. Bushy, compact cherry tomatoes, already in fruit, are available at Lifestyle Home Garden at the herb section, as are all the herbs you need for your festive dishes, dips and sauces like mint, basil, rocket and dill to name a few. Support vine tomato against stakes or obelisks and fix with soft plant ties to prevent the stems from breaking. Ensure good air flow between the vines. Water veg and herbs early in the morning to prevent blight, powdery mildew and other fungal diseases on leaves. Larger plants can be watered twice a week, while younger plants and those with a shallow root system might need a daily watering. Fertilise veg and herbs fortnightly with an organic liquid fertiliser. Fertilise all citrus trees with an organic 8:1:5 fertiliser along the driplines of the trees and water in well. Top up mulch around the trees, keeping it well away from the stem. Be careful not to overwater during the rainy season. Start harvesting potatoes planted in September. Do a second planting of seed potatoes in late December or early January for harvesting in April. Buy poinsettias for decor and table enhancements during the festive season. Feast your eyes on the new varieties available this year in a range of colours to suit any Christmas theme! Once they have played their role, these striking beauties can be planted in a shady spot in your garden. Click |HERE| to learn more about Poinsettias. If you’re opting for a real live Christmas tree, why not try one of our indigenous Yellowwoods – this year’s Tree of the Year? It will add a ‘feel good’, organic touch to your festivities and a bonus is that you can plant it in your garden or a container to reuse next year. Additionally we have a wide range of artificial Christmas trees in various sizes and colours if you want something that you can reuse each year – plus a few are on an exclusive loyalty cashback promotion until the 18th of December! Click |HERE| to see our latest SPECIALS. Give a living gift that will last long after the silly season is over… consider pots or baskets planted up with cheerful colour, a trendy indoor plant or orchid in an attractive potholder, a rose bush for someone special, a window box filled with favourite herbs, a bonsai or a berry bush or a range of fashionable succulents. The possibilities are endless when it comes to living gifts! Compulsory during this time is to put your feet up, have a little siesta in the cool shade of your favourite tree and enjoy time out in the garden. We wish you this outdoor relaxation this time of year! From all of us here at Lifestyle Home Garden, thank you for your support, have yourself a very merry festive season and happy gardening into the New Year!